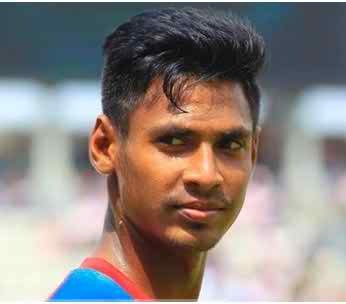 Bangladesh pace sensation Mustafizur Rahman has sustained an injury that put his participation in the remaining matches of the Asia Cup in doubt.Left-handed opener Tamim Iqbal may be called up to replace the 20-year old as he returned home on Monday after the birth of his first child in Thailand. The left arm pacer felt side strain during the Tigers match against Sri Lanka on Sunday. He had to undergo a medical check-up. Although an official statement from the Bangladesh Cricket Board is yet to be released, a source in the board said they are unwilling to take even the 'minimum' risk with Mustafizur keeping the World Twenty20 in mind. The source also said the change may be announced formally later on Monday, after the Asian Cricket Council gives the nod.